There are two common forms of contracts used in the home construction business. The most common is the fixed price contract. The other is known as the Time and Materials contract. Whenever possible homeowners should only accept fixed price contracts. Time and Material construction contracts, though seductive sounding, leave homeowners vulnerable to higher than anticipated costs and schedule delays. A time and materials contract is a contract that effectively has the homeowner paying the contractor and his subcontractors on an hourly basis for the work performed, plus the cost of the building materials. Though on the surface this may sound like a cheaper way to go with a home construction project, almost always it ends up costing the homeowner more in money and time. In addition, this type of contract frequently leads to debates between the homeowner and contractor for the cost of work performed. I recently had a situation where I had a young painting subcontractor show up an hour and a half late for a meeting at my home to discuss painting my house. He said he was late due to hanging out at the gym too long that morning. He also went on to tell me he spent his winters in Europe. Anyways, after he walked around the house, he came up to me and quoted me an hourly rate plus materials, and said he would complete the house over an 8 week period. I held my tongue and said thank you very much, I’ll get back to you. He never said how many hours per week he would be charging. 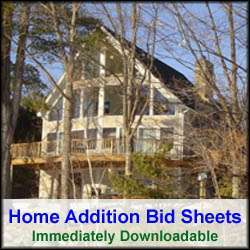 Use one of these home building checklists and save time and money on your home construction project. This type of offer is effectively a time and materials contract, and I am sure it would have led to me getting soaked and frustrated. Needless to say he didn’t get my business. There are situations, however, where time and material construction contracts are necessary. Typically they are used for situations where there are uncertainties in the home construction project, for example using construction materials and construction methods that the home construction contractor is unfamiliar with. 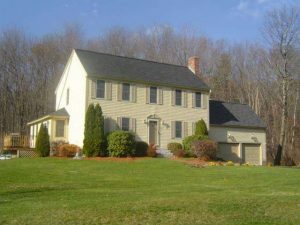 In addition, there may be issues with the home construction or home remodeling project that are difficult to cost out. For example, if there is a portion of the project that cannot be fully assessed until the contractor goes in and does some demolition or prep work on the project. Another example may be the installation of an artesian well. In this type of example the well contract doesn’t know how deep the well will have to be dug until he hits water. If a contractor suggests a time and materials construction contract, ask why, and see if there are ways that limit only a portion of the contract to a time and materials contract. Also, ask if there can be maximum dollar amounts set for both the labor and materials. If the feedback is negative to these requests, then look elsewhere for a contractor. Also make sure you obtain multiple construction bids. If other contractor bids suggest a time and materials contract then there may be an absolute need for one.